What Is Merino Next-To-Skin Wear? A decade ago we embarked on a search for new merino genetics for a robust easy care new superfine merino sheep with quality superfine merino wool characteristics along with reproductive performance in our seasonal growing environment. 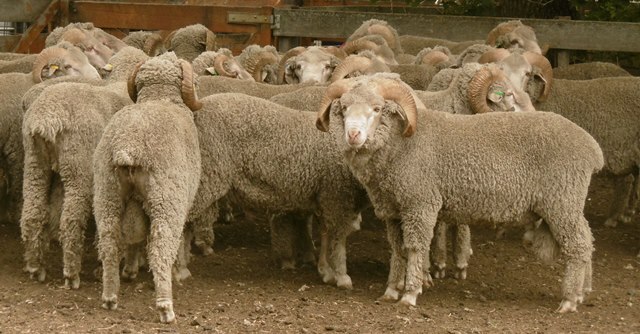 In 2004 we found those Australian superfine merino sheep genetics at John and Elizabeth Gill’s Gienna Stud at Walcha in the New England of New South Wales, Australia. Positive and targeted genetic change and use of breeding values in our non mulesed Saxon merino flock in the quality and quantity of their superfine wool. Their plainer body type and improved reproductive performance are outcomes of a more adaptable new merino sheep breed, a sustainable merino for an environment of constant change. We measure and bench mark our progress through Australian Sheep Breeding Values (ASBV) in Sheep Genetics Australia Merinoselect program, flock number 9256. For more information on our merino sheep genetics ASBV please click here. To lift ethical wool growth and carcass depth potential of our ultrafine and superfine merino wool and merino lamb enterprise within our grazing systems of our variable four seasons climate. A non mulesed supfine merino with higher reproductive rates, that performs with ease and effectively converts our natural resources into chemical free wool and table lamb. A sustainable superfine merino sheep with increased disease resistance in wool fleece and parasites, an ultrafine merino in harmony with nature and our environment. A new superfine Australian merino offering increased enterprise flexibility and opportunity for our changing wool and merino lamb markets. Superior breeding stock selection is based on individual traits for a specific outcome. Carcass traits for deep plain bodied and faster maturing superfine merino and wool traits for long staple length, high strength and increasing fleece weight while maintaining genetic fineness of fibre diameter. Leading wool industry consultant Dr Jim Watts, a specialist on fleece, skin biology and breeding progr ams for animal production, appraises each merino in an annual program. Assessment for skin type, wool fibre formation, length and quality along with sound physical attributes for merino performance. To read more about SRS Merino and their attributes click here. Selection and breeding program outcome is for an easy care, deep plain bodied non mulesed superfine merino with fly resistant fleece and ethical wool of superior growth and quality. A superfine ewe that is able to wean her weight in lamb. Eye Muscle Diameter (EMD) ASBV: Barega superfine sires are ranking ranking in the top 10% of Merionselect for this trait. EMD encourages more eye muscle with correlation for increased reproduction rate, enhanced worm resistances and increased merino lamb dressed weight percentages. Low Worm Egg (WEC) ASBV: Merino with genetic ability for internal parasite resistance allows for decreased labour and animal treatments with reduced check in animal performance. We have superfine sires ranking in the top 10% for WEC. FAT ASBV: Increased ability to maintain body weight during periods of feed change, increased marbling enhances staple strength and improved maternal ewe reproduction outcomes. Superfine sires and dams ranking in the top 10% in Sheep Genetics Merinoselect for this trait. Weight for age ASBV: Post weaning weight PWT and yearling weight YWT ASBV selection for genetic ability for higher growth rates and weight gains at a younger age. Staple Length (SL) ASBV: Higher wool growth rate which has correlation to with increased fleece weight and reduced fleece rot disease. 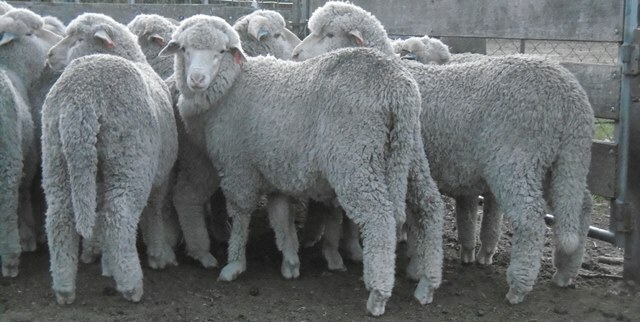 White soft lustrous superfine fleece growth allows for three shearings every two years. Coefficient of variation of fibre diameter (CVFD) ASBV: Improves wool softness and comfort factor, enhances wool fleece processing outcomes and product end quality. Sires and dams ranking in the top 10% of Merinoselect for this trait. We are ethical wool grower specialists and merino sheep breeders of easy care productive superfine merino sheep. 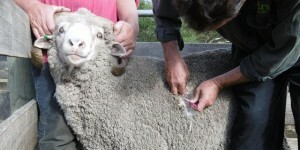 Our merino sheep health and their welfare are intrinsic at Barega Merino. Our merinos performance ability on our natural resources within our environment and their economic sustainability are our drivers for change within our breeding program. As superfine merino wool grower and merino lamb breeders, we are constantly changing and responding for improved health, wool and lamb production outcomes of our merino sheep. For more information contact us, give us a call for a chat or drop us a line. We enjoy talking and sharing information about superfine merino sheep and breeding outcomes. A new merino sheep breed, superfine merino breeding and genetics that are in harmony with our ecosystems and commercial environment in which we operate. Copyright © 2019 BaregaMerino. Powered by WordPress. Theme: Accelerate by ThemeGrill.